Are there any books that you love so much, you could just die? Well, careful now. Because it seems that such things have happened in the past. 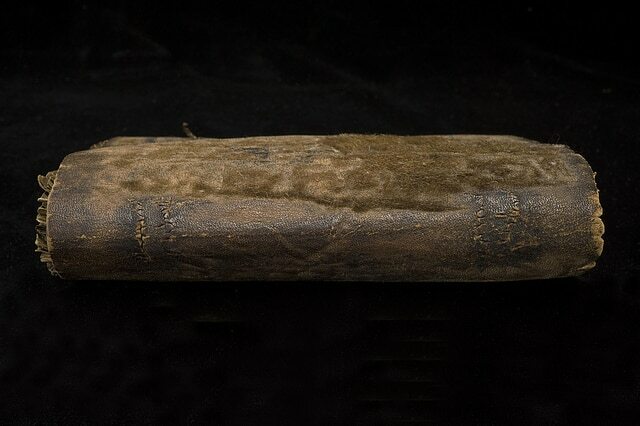 As it turns out, there are a few historical individuals who give new meaning to the idea of “spending forever in the library.” Mostly, this is because their skin binds three of the books in Harvard’s 15-million-volume collection. That’s right. Harvard has human flesh book covers. Of course, with over 15 million books in the collection, it is impossible to know how many of the books are actually bound in human flesh. Though this determination could be made with extensive testing, it would be a needlessly lengthy and time-consuming process. So, for now, we will just have to be content with three. This shudder-inducing mental image may seem barbaric to people living in modern times (and make no mistake, it is), but such practices were thought of differently in the early 17th century. During this time, individuals kept parts of loved ones (literally) as a kind of commemoration. It’s a bit like holding on to a lock of someone’s hair. Ultimately, this practice became popular during the 17th century and continued throughout the 1800s. In fact, our next tale comes from the late 1800s. Another odd story surrounds an 1880 text called “Des destinées de l’ame,” which is actually a collection of essays on the nature of the human spirit, written by French poet Arsène Houssaye. 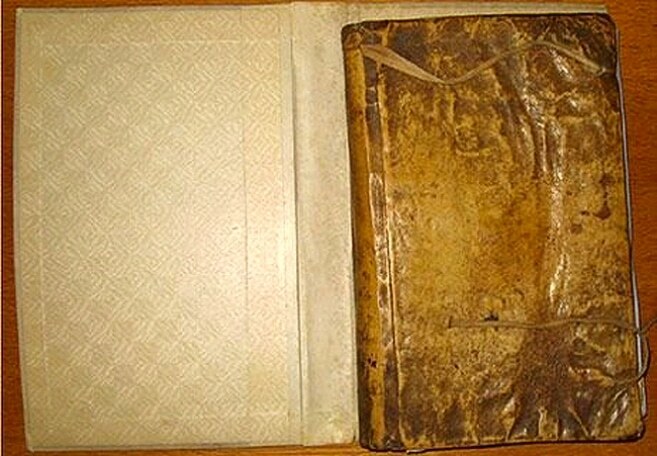 Notes that came with the acquisition of the book revealed that the binding comes from “the back of the unclaimed body of a woman patient in a French mental hospital who died suddenly of apoplexy.” Yes, it is the skin of a mental patient (not that it makes the whole thing any better or worse). When Albert Einstein died on April 18th of 1955 in Princeton, New Jersey, rigor mortis had barely set in when he—or at least pieces of him—embarked on a highly-publicized journey that didn’t come to a resolution until decades later. Harvey eventually lost his job anyways, as he refused to hand the brain over to research scientists (he was only allowed to keep it in the first place because he told Einstein’s family that the makeup of Einstein’s brain was the secret to his brilliance with mathematics and physics, and the researchers wished to study it). Once he was fired, Harvey took Einstein’s brain with him (yeah, he stole it). Though he did give some portions away to researchers, for years, he kept pieces for himself as he moved around the country. The remaining parts were with him, and are said to have been kept in jars inside a box marked ‘Costa Cider’. In 1997, magazine writer Michael Paterniti drove with Harvey from his home in New Jersey to California to meet Einstein’s granddaughter, all the while the brain was kept safe in Tupperware in the trunk. However, she explained to Harvey that she did not want the brain. So Thomas Harvey and Michael Paterniti left her and headed home, where Harvey continued to hang on to the brain. Eventually, he decided to take the brain back to its rightful home at Princeton Hospital. Between 1932 and 1972 in Tuskegee, Alabama, 399 poor and mostly illiterate African American men were denied treatment for syphilis. By the end of the study, only 74 of the test subjects were still alive. 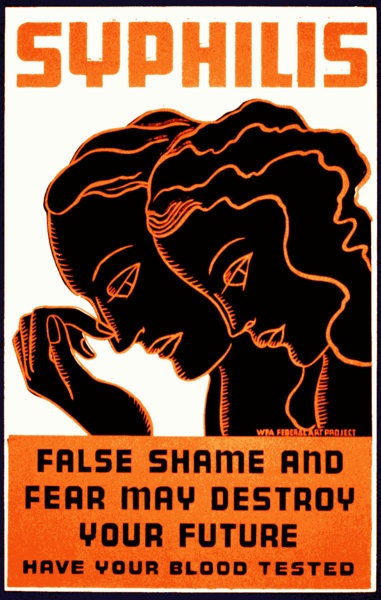 Over the course of this study, twenty-eight of the men had died directly of syphilis, 100 died of related complications, 40 of their wives were infected, and 19 of their children were born with congenital syphilis.